Established in 1925, Raymond Group is India's offering to the world as the largest producer of worsted suiting fabric. When a brand with a strong heritage is gradually introduced to new age perspectives, it inevitably finds itself at a fork in the road. 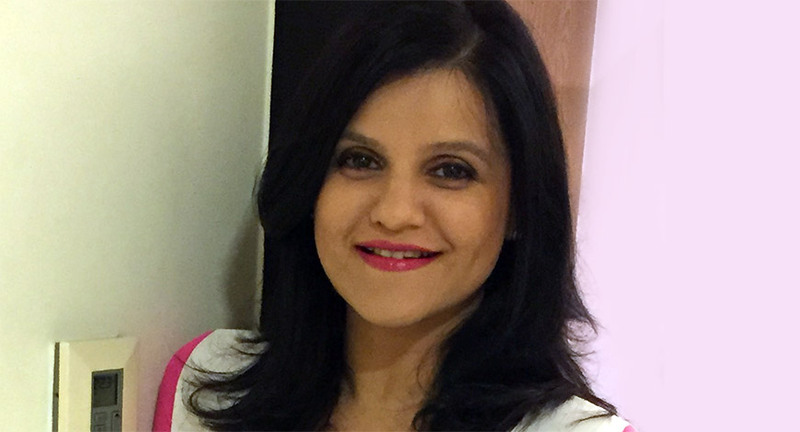 Uma Talreja, Chief Digital Officer and Consumer Experience Head at Raymond talks about taking the high road. In the new era of advertising which media is the strongest and why? The new era of advertising has been largely driven by digitization and high Internet usage that is increasing with time. For most users, the Internet has become a key platform of engagement thanks to social networking, e-mails, web browsing, entertainment and this is evident in mainstream media focusing heavily on their digital versions. From the consumer’s research perspective, digital and mobile are soon becoming first port of call for many needs. Over the past few years, consumers have started accepting mobile devices as an important medium of communication and as a medium for gaining information about new/existing products/ services in the market, information on current trends, happenings besides using it for communication. Notable is the shift in the trend from offline research to online research which is also influencing consumption. With the advent of smartphone now becoming more affordable, digital screens will soon become the primary source of media consumption in the Indian digital world. Therefore, the digital media has been the forerunner of growth for the advertising industry in India. Every year an increasing proportion of marketing budget is being spent on digital media thanks to the increasing affinity of the consumer towards the digital experience. The other advantage of digital media for brands, is that it can blend multiple variables and attributes that can make campaigns more relevant and exciting. A blend of profile data, behavioral data, device relevance and innovative formats makes it easier for marketers to create exciting campaigns and two way engagement which can now be measured. How meaningful is experiential marketing for Raymond? Over the last few decades, Raymond has evolved The Complete Man platform through relevant stories that connects to the heart of every consumer. Our core product offering is the Raymond Suit, it never fails to appear in a conversation when there is a reference to Raymond. It is very special. Experiential marketing is thus a natural and critical extension, as the brand strives for personal connections through its products, services and communication strategy. Technology and social media have made it easier for companies to market to their consumer in many ways. Digital formats now enable the connection and interaction that makes a lasting impression on the consumer. Our story telling has also gone beyond mainline media and finds itself in creating wow moments of interaction with our consumers across many touchpoints. What are the kind of activations you have done and found success in? Our activations straddle across various formats from store level activations, to large events to digital experiences online or offline. With the high penetration of digital in consumers’ lives, and merging of offline and online channels and environments, we no longer consider activation restricted to traditional definitions. One of our very successful campaigns that has an extension into an on ground activation was for Fathers’ Day where Raymond paid a tribute to single mothers. This campaign was released only on social media and we followed it through with an on ground activation for consumers and real life stories. What works for any brand is a very clear proposition and expression that is relevant to the medium, in this case our campaign idea was extremely conversational and created huge amount of interest and comments which naturally led to a real life activation as an extension for people who had their own stories to tell. We have also found a few other real time ideas to work very well with consumers. An innovation we ran recently for our sweaters gained very good traction with consumers where we showcased Raymond Sweaters when the weather dropped to low temperatures on your mobile screen. Such moments are memorable and consumers appreciate it when you are contextual. We also make it a point to connect our activations to important events and occasions and festivals. Recently, for Valentine’s Day we built a custom quiz based tool which allowed you to create profiles of your partner and find relevant gifts based on his/her interests, hobbies and preferences. This ran as a long format insta quiz which was based on algorithms and only was visual in nature and concluded with recommendations for the profile created on Instagram. Do you also have an in-store experiential strategy? The future of retail stores lies in becoming brand hubs and experience nodes. We are actively investing in digital means to improve our in-store experience. We have a very large retail footprint and are in the process of creating seamless experiences for our consumers between online and offline environments. We have recently launched a 3D visualization service in a few stores. It allows consumers to customize their apparel including suits, shirts and trousers in real time and visualize it on their own 3D avatar. One can change collars, cuffs, lapels, patterns and fabric on a single click and compare and select on your own 3D body form. This is not only delightful but removes the barriers to decision making for the consumer and enables choice with confidence. We also have digital means to digitally schedule your selected garments in a pre-appointed trial room at our store in Bangalore and sport a very vibrant digital façade which is a visual treat to passersby. This is the future and we believe that stores will have to keep re-inventing themselves through experiences that engage customers. What are the challenges in delivering consumer experiences for a brand like yours? While the opportunity for a loved brand to engage its consumers is tremendous, the challenge for a highly distributed brand and through multiple channels is equally complex. To create a consistent experience for the brand across online channels, stores, franchisee stores, and distribution networks across geographies is quite a challenge but the revolution in digital technologies and solutions can have answers and we are working on solutions that can create the same value proposition for consumers even when rendered and executed as per channels. Marketing automation is a very good platform to create consistent experiences and one to one conversations with consumers for a brand like ours. What do you look for in an experiential agency before signing them on? Connecting to consumers in ways that they value, and creating consumer value through experiences is very important in our strategy. We look for an agency who is strong on insight and innovation and can partner with us in creating meaningful WOW moments.